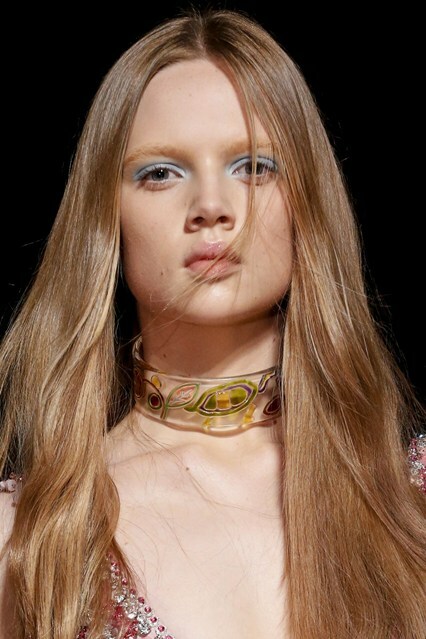 From the runways of Marc Jacobs to Emelio de La Morena, shimmering blue lids on perfect porcelain skin strutted the runways of New York, London and Milan. First begin with a flawless foundation then lightly contour your face. 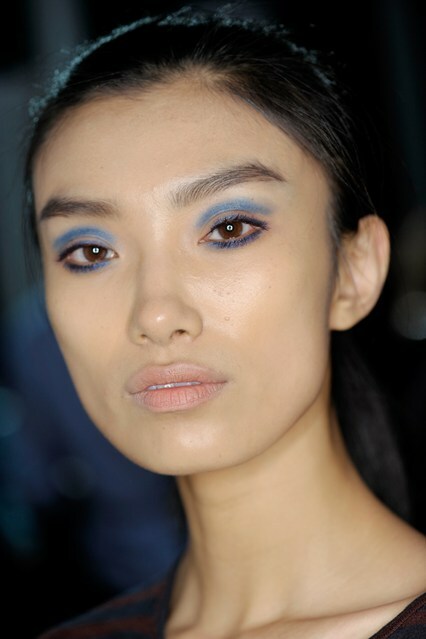 After that choose a shade of blue you like, lighter fresher colours for the day and darker richer colours for those nights out. 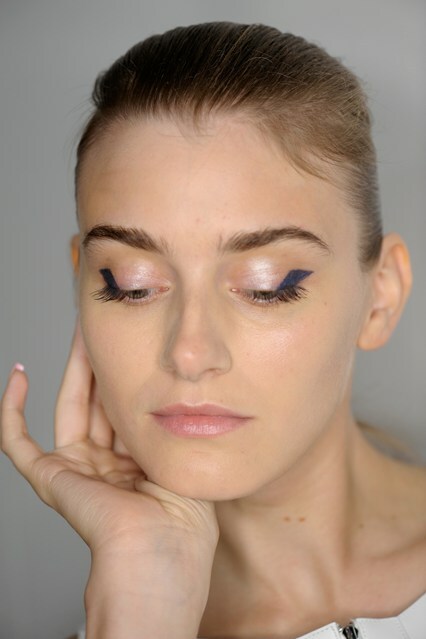 Then gently apply the eyeshadow on the lower part of your eye-lid. 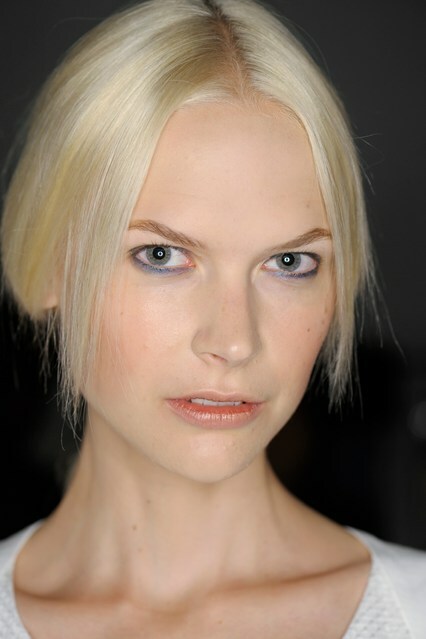 After that choose a neutral tone high lighter colour and put this on the upper part of your eye-lid and brow bone. And tad-dah runway chic!! 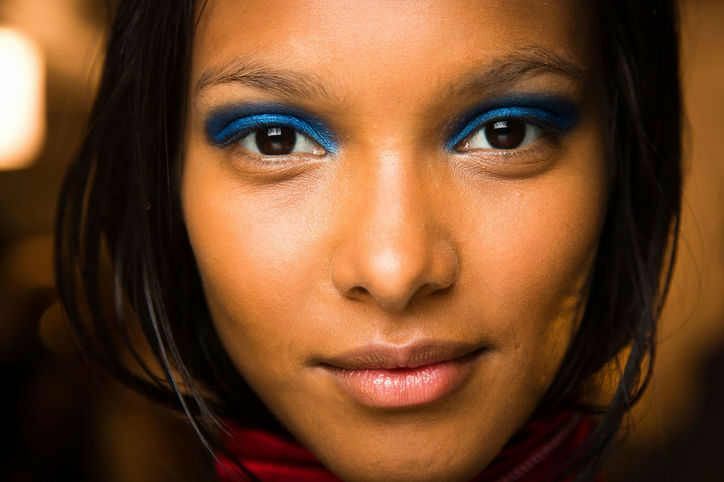 If you’re going for a more subtle look, try applying a little bit of the eyeshadow on the corners of your eyes, (tear ducts) with an angled brush, use a more shimmering eye shadow as this will make the eyes appear bigger. 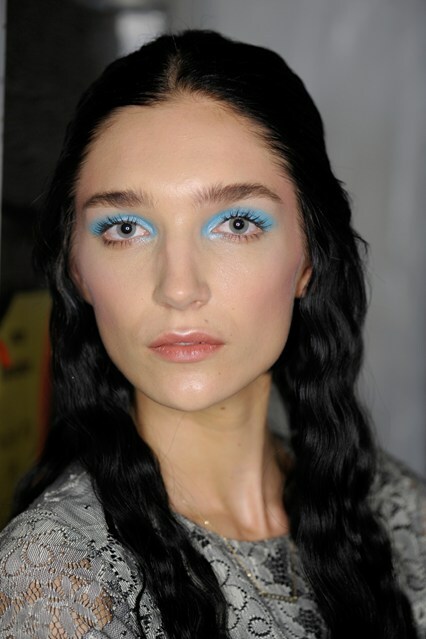 Or use a blue eye liner on your lids and draw a line that tapers at the end. Don’t draw it too long it shouldn’t go further than the end of your eye-brows. 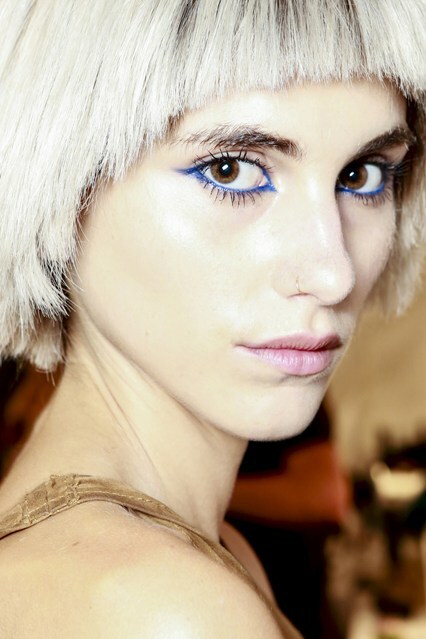 I love blue eye-liner, one of my absolute favourites is by Make-up Academy, it’s soft and easy to apply, and for £1 its a steal, go get yours at your nearest boots of superdrugs, or check out their website.